Sage 50 Accounting Software in UAE plays a key role in expanding business and handles and gives detailed information about your Business Financial processes. Key Features of Accounts Payable, Receivables, Sales and Purchase Orders Entry, Expenses, Invoicing and Vouchers and also a vast number of Reports to get a complete Insight of your Business. The main advantage of sage 50 or peachtree for SME is that, that it manages the Cash Flow and give real time reports that results in Profit in Business; efficient accounting software solution can help business owners maximize their time and money while facilitating business growth. In other words, accounting systems focus on making money, while simultaneously saving it. Account payable feature is more important for SME in UAE which carries out all functions of accounting receivable management. This software has the facilities to manage vendors’ records, check to print, payment calculations, payment scheduling, purchase order maintenance, and account payable entries. Account receivable is also one of the important features that all accounting system should pack with. 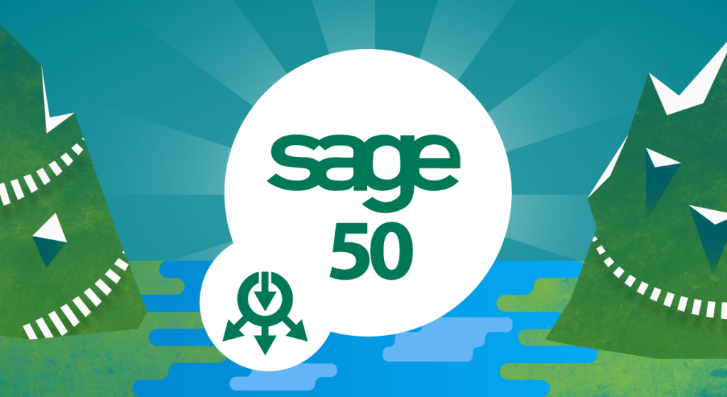 Sage 50 feature of accounts receivable includes the client accounts management, invoicing, AR reporting, billing, sales attributions, cost of the goods, recurring invoices, tax calculation, credit payment, receipt, quotations, estimation facilities, email invoicing, return orders and credit management. Cash management is the most important functions in accounting, the software can manage the cash flow more accurately. It is capable to maintain, store and product cash flow and fund flow statements. This software also has facilities to do cash flow analysis.